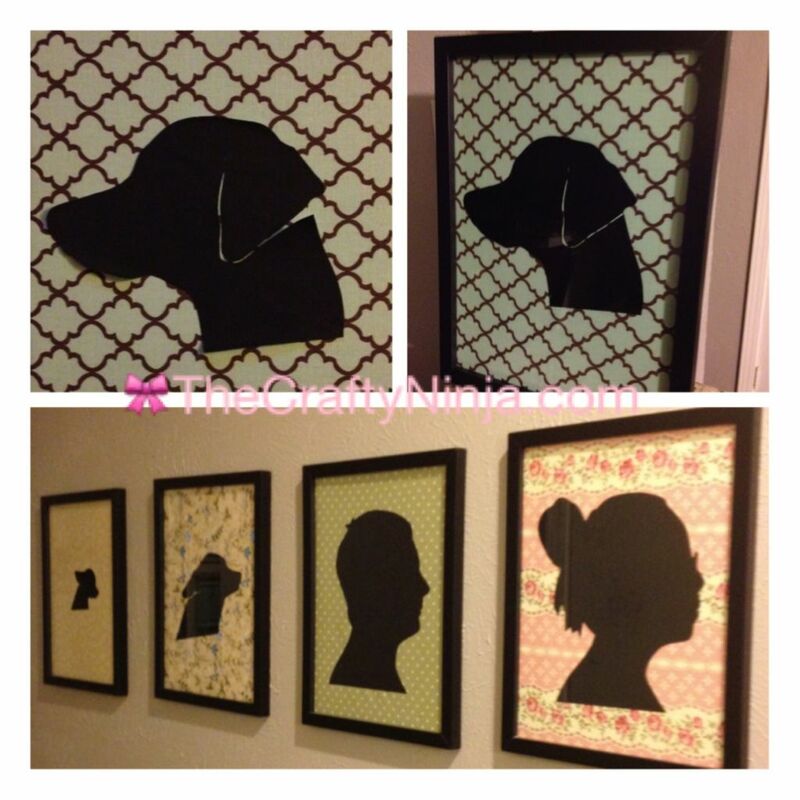 Nothing beats handmade beautifully personalized silhouette portraits of your family and pets. Here’s a tutorial I used to add our new addition Dexter to the wall. These can make great gifts for a pet owner, newly weds, kids, friends, because who doesn’t like personalized art. 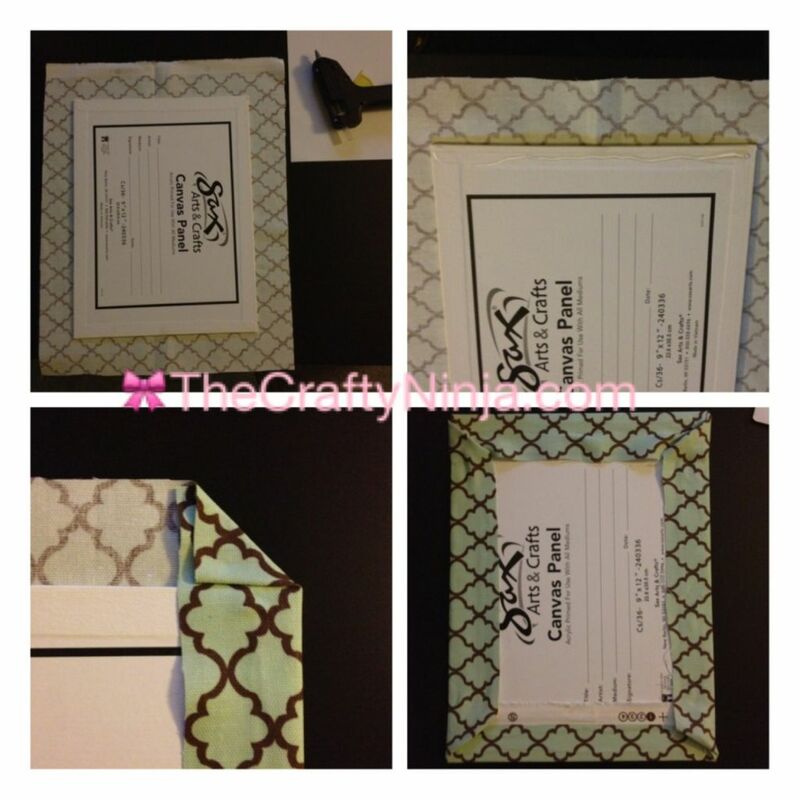 Supplies: Fabric, 9×12 Canvas panel, 9×12 Photo Frame, Sharpie Marker, Silhouette paper (or black construction paper), Pencil, Scissors, Hot glue gun and glue sticks, Mod Podge, Printed Profile picture. First began with a printed profile picture. I struggled trying to get Dexter, my 5 month old Weimaraner, to sit still to capture his profile but I finally succeeded. Trace the profile picture with a Sharpie marker and cut out. 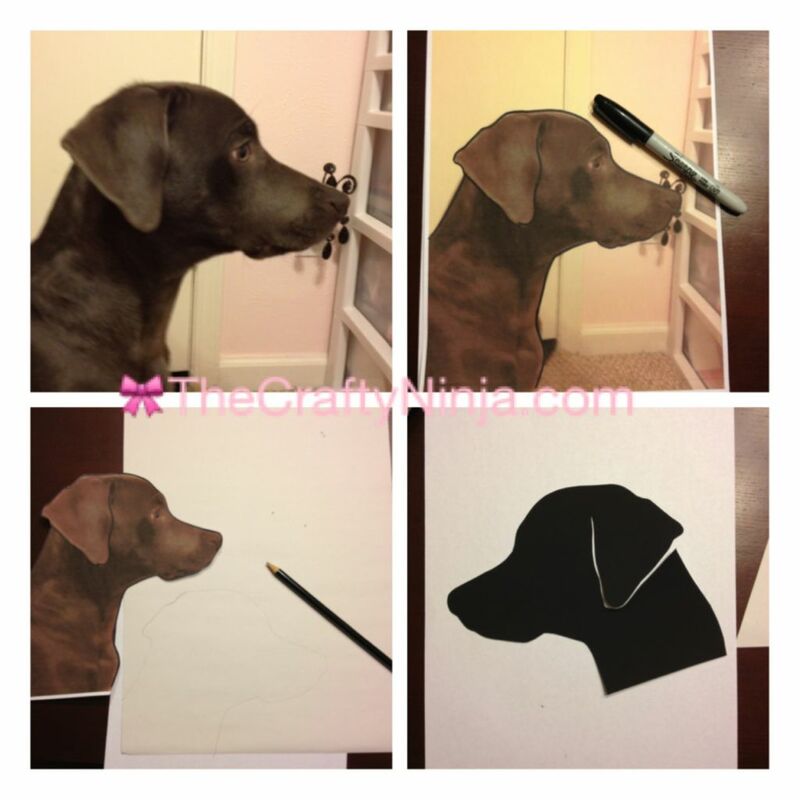 I then trace the image onto a silhouette paper using a pencil and carefully cut out. To make the fabric canvas, place the 9×12 canvas face down on the fabric, make sure to have about a two inch border of fabric. Glue down the top then bottom fabric pieces, make sure to pull tightly as you glue the bottom. Fold in the corners and glue down, then glue the sides again pulling tightly. 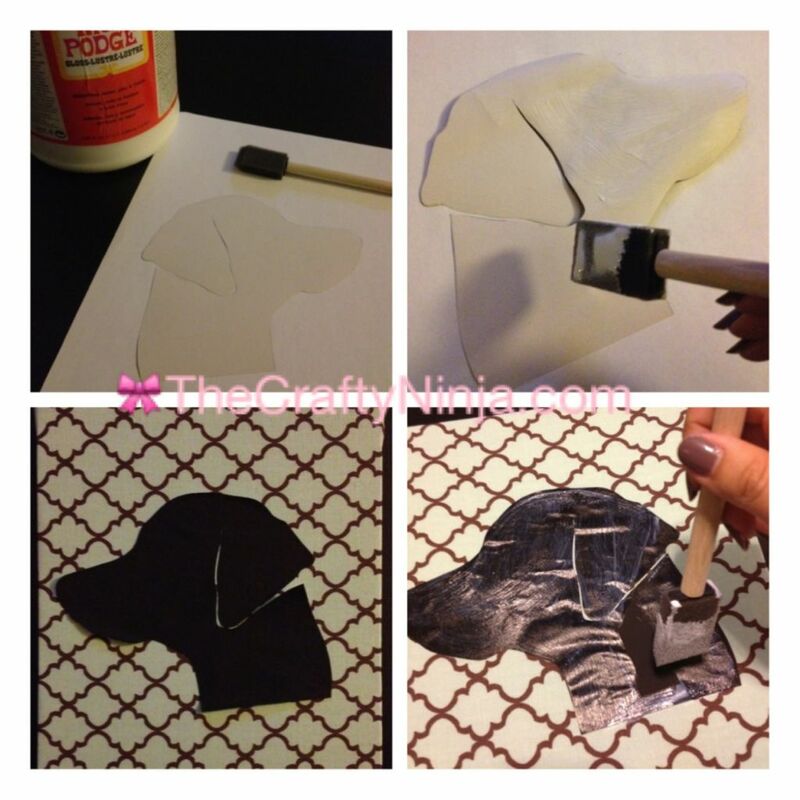 Use a foam brush to add mod podge to the back of the silhouette and glue in down on the fabric. Next brush the mod podge onto of the silhouette, try not to get any on the fabric. When the mod podge dries it will leave a painted texture. Put inside the frame and hang your customized art.